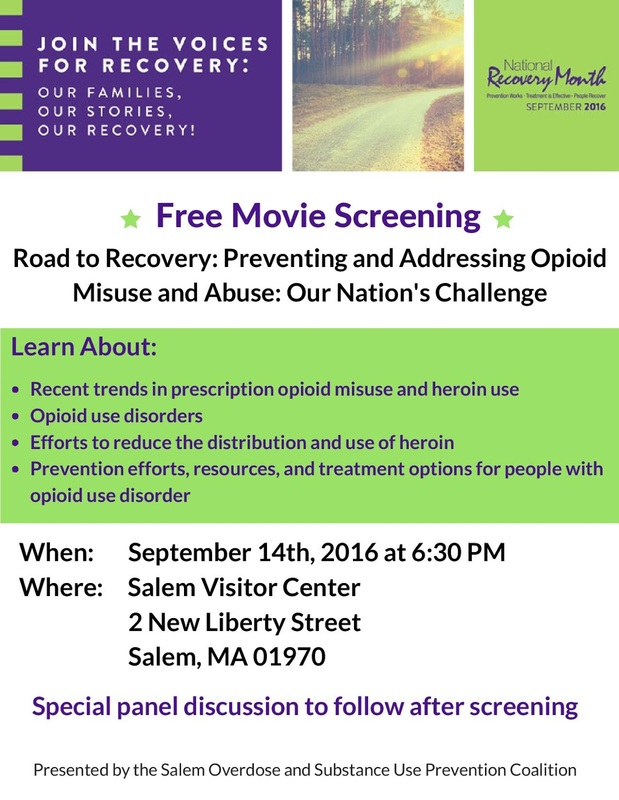 The Salem Overdose and Substance Use Prevention Coalition will be hosting a free movie screening of an episode of "Road to Recovery" next Wednesday, September 14th, at 6:30pm at the Salem Visitor Center. 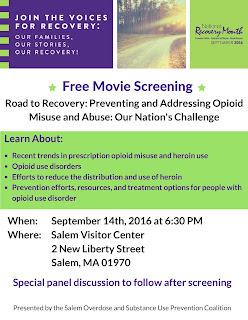 This episode will talk about the recent trends in prescription opioid misuse and heroin use, opioid use disorders, efforts to reduce the distribution and use of heroin, and prevention/treatment efforts. A special panel discussion to follow after the episode.